Footie fans! Live your dreams with a pocket guide to perfect play. 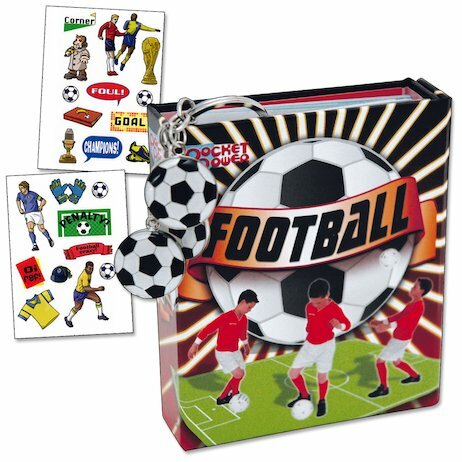 This handy pocket file is stuffed with footie-themed fun, from soccer stats and action-packed stickers to a fab football keyring! 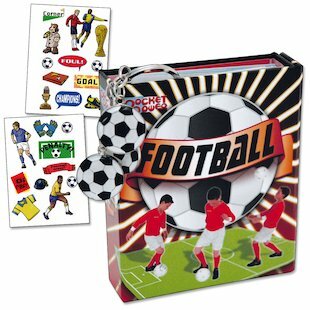 There’s a colourful booklet full of glittering game info, a ‘dream team’ poster to complete, and even some referee cards to keep your players in line. Now you can keep the ball at your toes – and the world at your feet!